Please describe your activity in three or four sentences. Explain how it will promote Classics in your community and how you plan to publicize it. If you wish, you may upload a more detailed description with supporting materials and an itemized budget. How you plan to publicize this outreach activity? 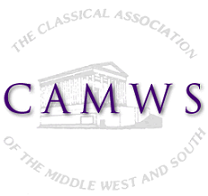 Please be sure to include the following statement in all publicity for this event: Funded in whole or in part by CAMWS Committee for the Promotion of Latin (camws.org). Also please plan to send copies of all written publicity to cpl@camws.org and camws@camws.org. Please be sure to contact these media outlets to promote your event.